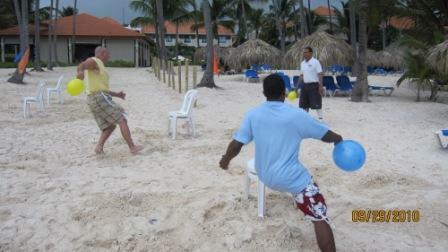 Who says you have to wait until the 2012 Summer Olympics to partake in some Olympic style fun! 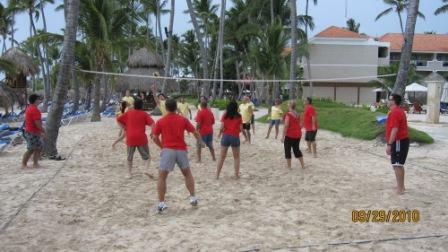 At Dreams Palm Beach Resort & Spa, we challenge our guests to competitive games on the beach every Monday! 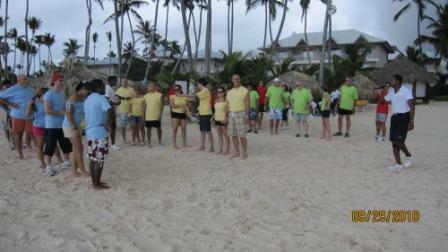 We split our guests into color coordinated teams. The teams compete against each other in a series of events including, a water balloon toss, beach volleyball, relay races and more! 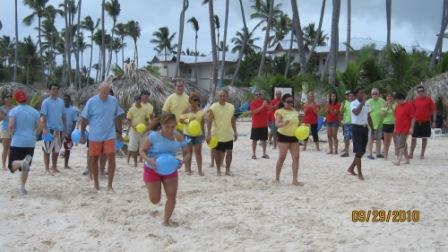 To win, it takes agility, teamwork…and a sense of humor doesn’t hurt either! 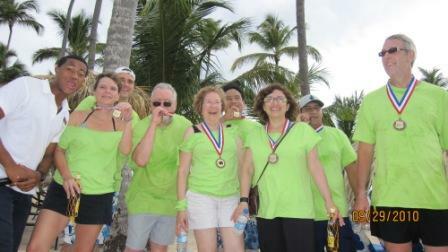 Take a look at our recent beach Olympics games! 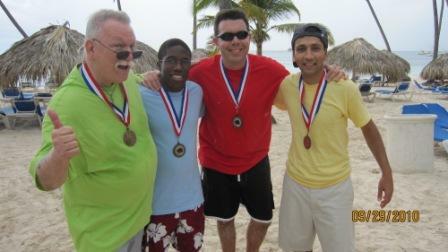 This entry was posted in Dreams Palm Beach and tagged Games, Olympics, Resort Entertainment. Bookmark the permalink. Dreams Palm Beach truly is a GEM on in Punta Cana with not only a GREAT Location but an AMazing DREAM TEAM in place that truly cares about its guests pleasure!